"Beauty is more beguiling as the scale of magnification increases." Quote Professor David Thomas (Class of 1980) and Bangor University. We were truly honoured to welcome David back to the College to talk to the Academic Scholars and art students about the Art in Science lecture. It was mesmerising - thank you so much and we look forward to having you do a return visit to cover the Antartic expeditions. 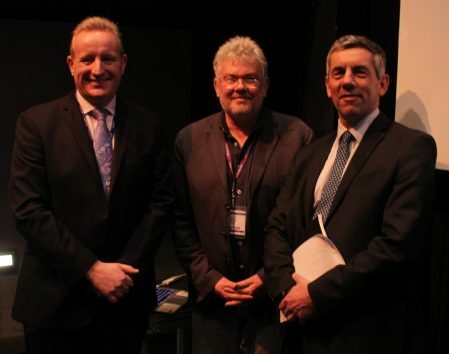 Pictured here with JMOC, Prof David Thomas and Dr Rob Trott.